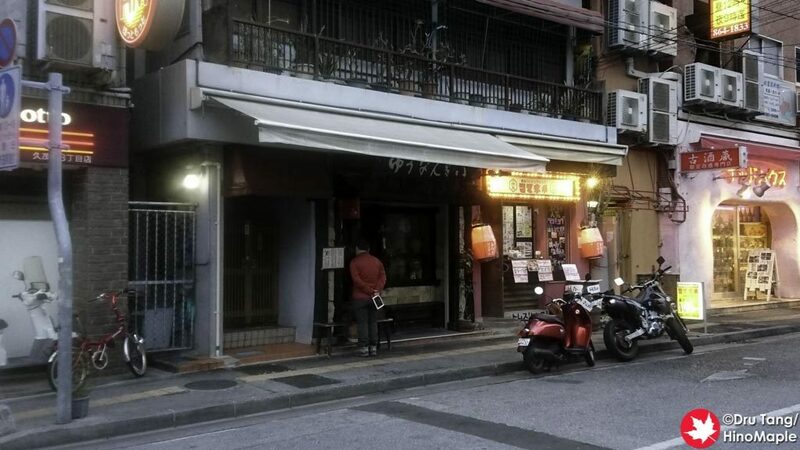 Yuunangii is a very good Okinawan restaurant in Naha and one of the most popular in Naha. 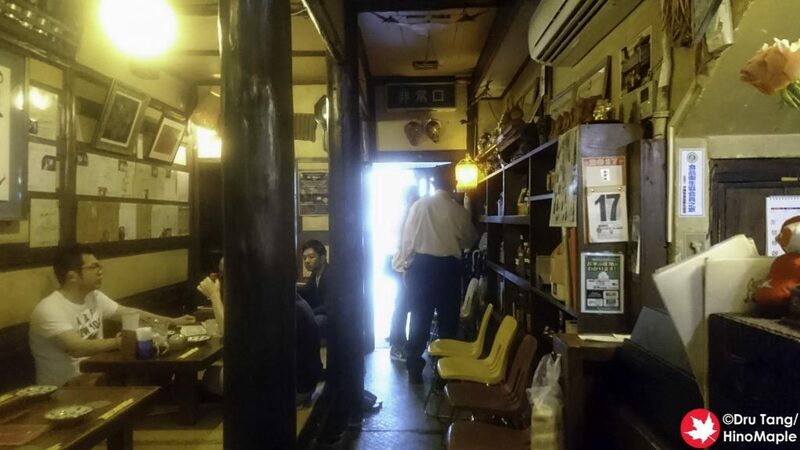 It is a small shop with a bunch of old people running the restaurant but that adds to the charm. There is typically a line of people out the door so you have to be early or expect a wait to get a seat. I visited Yuunangii soon after they opened. I arrived around 5:45 p.m. and I was lucky to be the very last person to get a seat in the opening round. There are several tables and a counter and I was one of only 2 people by themselves. 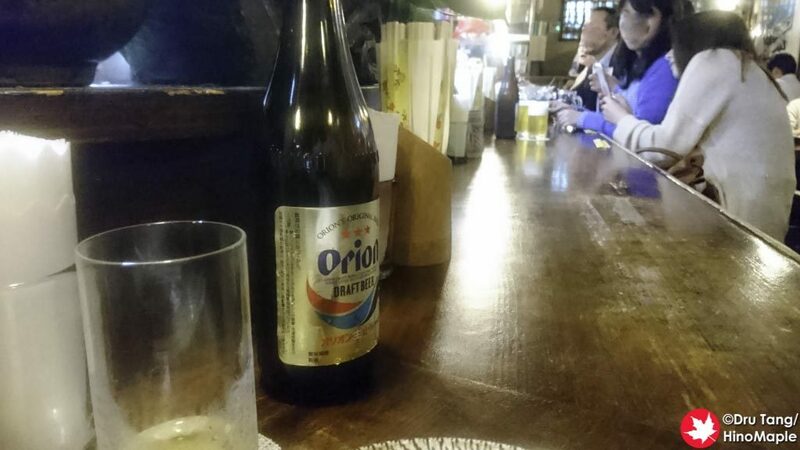 I quickly ordered a beer but they only have bottled beer but I was fine with it. The food was what I was looking forward to. They have a set menu but there were too many things that I didn’t really want to try. I also didn’t know a lot of the dishes so I just ordered things dish by dish. I was still impressed by what I had. 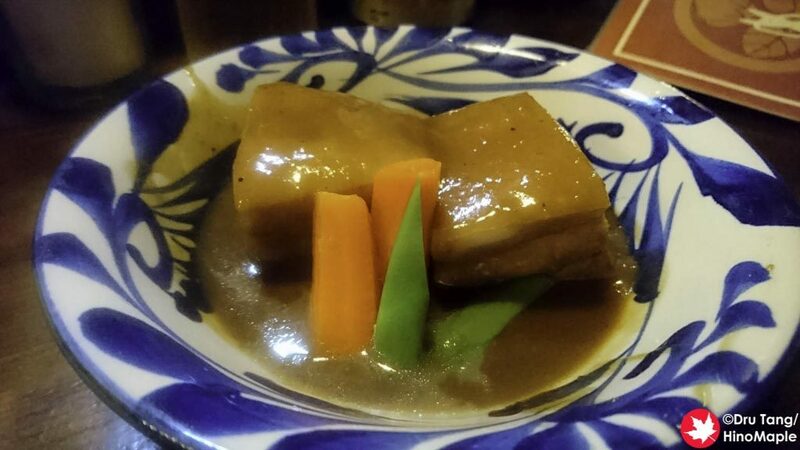 I was able to try the rafute, mimiga (pig ear), shima tofu, and mozuku. The rafute was pretty good and standard. It came in a thick sauce and the meat just naturally fell apart in my mouth. The only bad thing was it was so heavy that I couldn’t eat more than a single order. 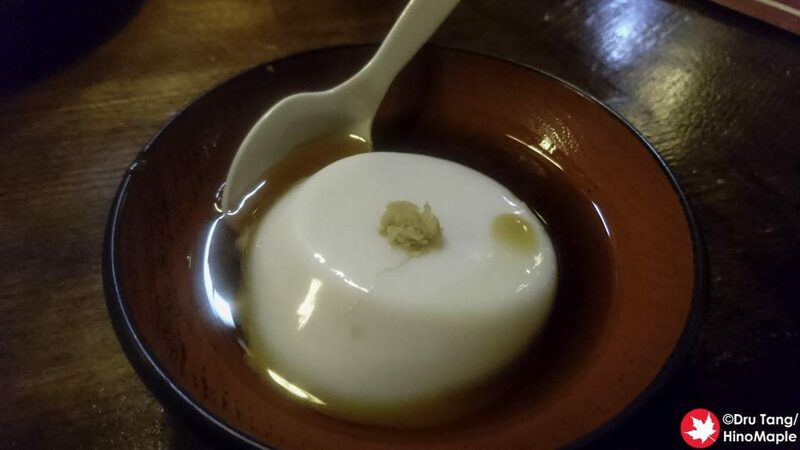 The shima tofu was also good and I was worried it would be sweet like an annin tofu but it wasn’t sweet. It was more firm than I expected as well as being creamy in taste. I wasn’t terribly hungry when I went to Yuunangii but I wanted something to go with the Orion beer. The mimiga and mozuku were perfect accompaniments to the beer. They were both in a sour sauce that paired well with the light bitterness of the beer. I enjoyed the texture of the mimiga and the mozuku was just what the Okinawan doctor ordered. 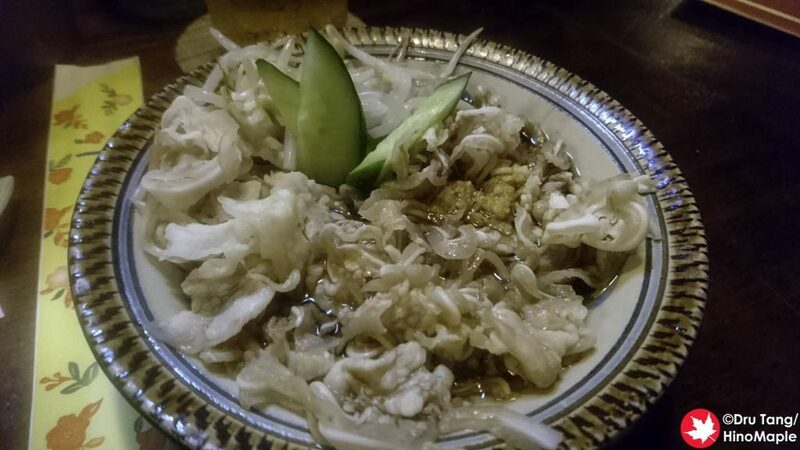 I really felt as if I was in Okinawan heaven, but I can imagine many people not enjoying the mimiga and mozuku as it is an acquired taste. Yuunangii is a great place and if I am in Naha I will go there again. I really enjoyed the local atmosphere, although I think there were many tourists as well. The people working there were well seasoned and friendly. They do have an English menu but I did well enough with the Japanese menu. 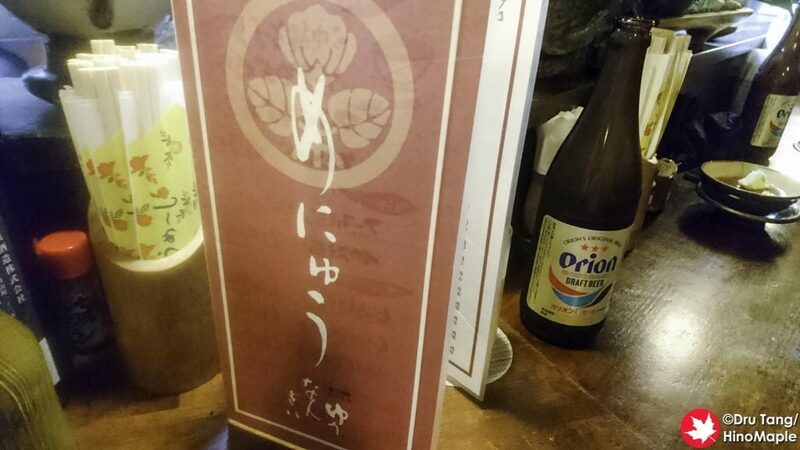 Even if you do speak Japanese, Okinawan food is a bit of a mystery so I had a tough time trying to decide what to eat. I was happy with what I ordered but I would have liked to order more. I guess I’ll have to wait until my next trip to do so. 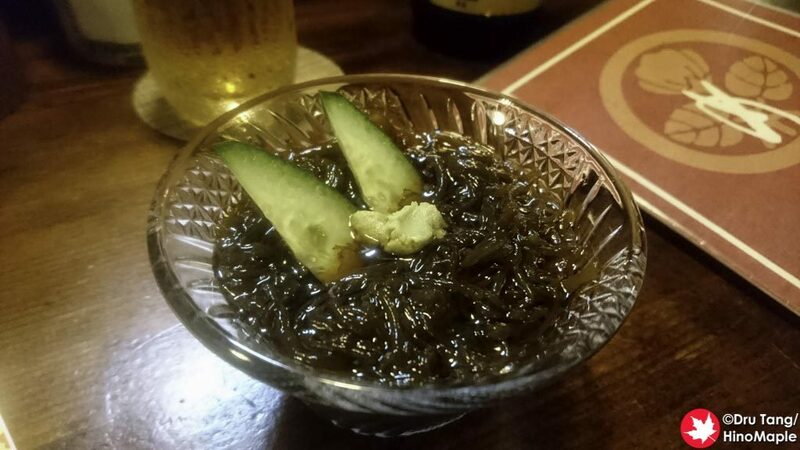 This entry was posted in Okinawa Food and tagged japan, Naha, Okinawa, Yuunangii by Dru. Bookmark the permalink.